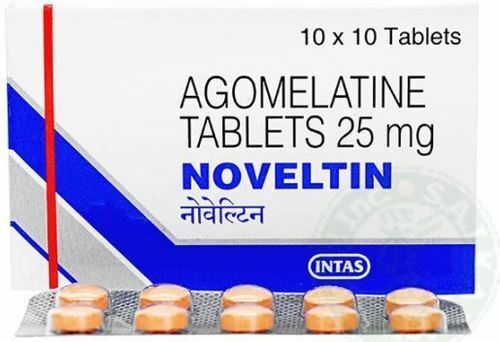 Prominent & Leading 100% Export Oriented Unit from Nagpur, we offer sizodon plus tablet (risperidone & trihexyphenidyl), oleanz 10 mg (olanzapine 10mg), nexito tablet (escitalopram), venlor xr capsule (venlafaxine), duvanta 60mg tablet (duloxetine 60 mg) and duzela 60mg capsule (duloxetine 60mg). Sizodon Plus Tablet is used in the treatment of schizophrenia. Sizodon Plus Tablet is a combination of two medicines: Risperidone and Trihexyphenidyl. 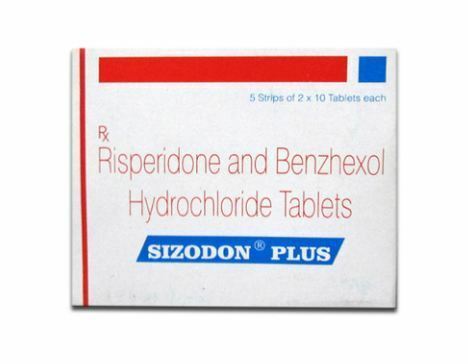 Risperidone is an atypical antipsychotic which works by balancing the levels of chemical messengers (dopamine and serotonin) to improve mood, thoughts, and behavior. Trihexyphenidyl is an anticholinergic which works on the nervous system and corrects some of the chemical imbalances that cause Parkinson's disease and certain side effects occurring during antipsychotic treatment. Oleanz 10mg Tablet is used in the treatment of schizophrenia and mania. It is an atypical antipsychotic. It works by modulating the action of certain chemical messengers in the brain that affect thoughts. Nexito 20mg Tablet is used in the treatment of depression, obsessive-compulsive disorder, phobia and post traumatic stress disorder. It is a selective serotonin reuptake inhibitor (SSRI) antidepressant. It works by increasing the levels of serotonin, a chemical messenger in the brain. This improves mood and physical symptoms in depression and relieves symptoms of panic and obsessive disorders. 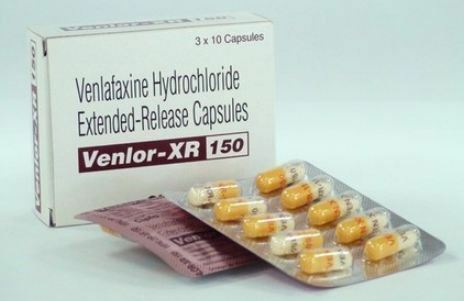 Venlafaxine used to treat major depression and symptoms of depressive illness, including anxiety, loss of interest in usual activities, disturbed sleep, change in appetite, fatigue, feelings of worthlessness or guilt, difficulty thinking or concentrating, and recurrent thoughts of suicide. Venlor XR capsules 75mg are also used to treat other mood disorders that affect daily activities and relationships with others including, social anxiety disorder (Social Phobia), panic disorder (panic attacks) and generalised anxiety disorder. 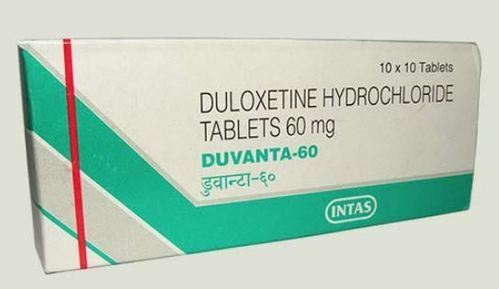 Duvanta 60mg Tablet is used in the treatment of depression, anxiety disorder, diabetic nerve pain, fibromyalgia, neuropathic pain and stress urinary incontinence. It works by increasing the levels of chemical messengers (serotonin and noradrenaline), natural substances in the brain that help maintain mental balance and stop the movement of pain signals in the brain. 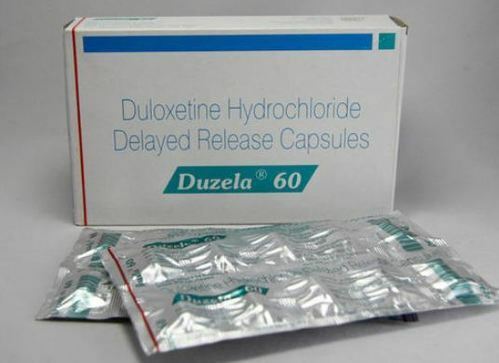 Duzela 60mg Capsule DR is used in the treatment ofdepression, anxiety disorder,diabetic nerve pain, fibromyalgia, neuropathic pain and stress urinary incontinence. Itworks by increasing the levels of chemical messengers (serotonin and noradrenaline), natural substances in the brain that help maintain mental balance and stop the movement of pain signals in the brain. 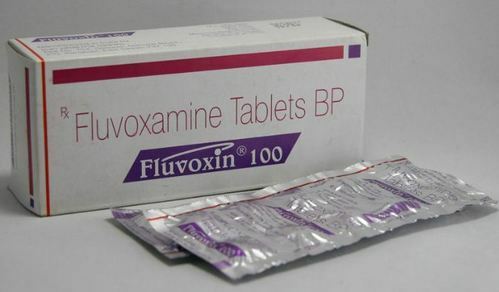 Fluvoxin 100mg Tablet is used in the treatment of depression, anxiety disorder, phobia, post traumatic stress disorder and obsessive-compulsive disorder. It is a selective serotonin reuptake inhibitor (SSRI) antidepressant. It works by increasing the levels of serotonin, a chemical messenger in the brain. This improves mood and physical symptoms in depression and relieves symptoms of panic and obsessive disorders. Looking for “Anti Anxiety Medicines”?